Neiman Marcus Group has established separate Last Call Clearance location numbers to accommodate online Last Call business. This will require Last Call Clearance vendors to ship to separate Distribution Centers, associate specific stores to unique DC Locations, and separate out BOL’s/ASN’s by Store/DC location. The first step in this process is for ALL Neiman Marcus Last Call vendors to add STORE 40 and STORE 41 to their system. The second step in this process for you, the vendor, is to associate these new store numbers to unique BOL’s/ASN’s and DC Locations. One PO for Clearance Brick & Mortar Stores (42,43,48,51,52,55,56,70, 201,203,206,209,211,212,214,26,44,54,57,58,59,71,72,202,204,207,208,210,213,205). One PO for Store 079 – Last Call LockerStock. One PO for Store 040 – Last Call LockerStock. One PO for Store 041 – Last Call Online. Stores 040, 079, Clearance Brick & Mortar stores (normally sent to DC 091) CONSOLIDATED into 1 BOL for DC 091. Clearance Brick & Mortar Stores (normally sent to DC 096) should be on 1 BOL for DC 096. Store 041 should be associated to a UNIQUE – SINGLE BOL for DC 001 –Do not consolidated with any other stores. 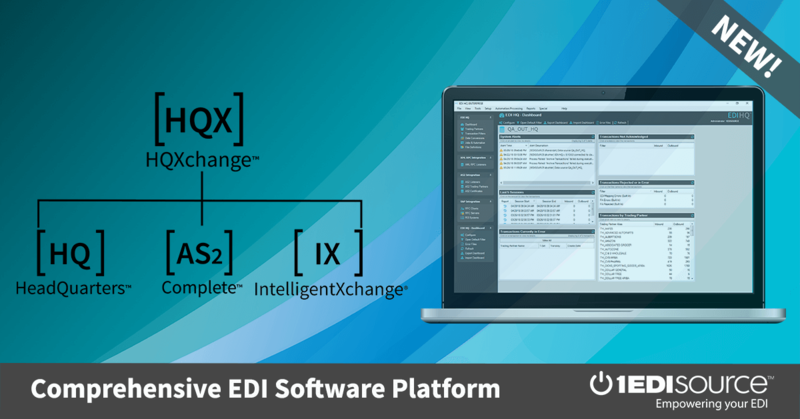 If you have any questions about Neiman Marcus EDI or any other trading partner, or you need to become EDI compliant, Contact 1 EDI Source Today!